More than 2,000 years ago, a Roman named Titus Lucretius Carus set down his thoughts on topics ranging from creation to religion to death. The format for his observations, many of them highly technical and uncannily modern, was a single elegant poem: readers would stomach such material more easily if it was presented artfully, he suggested, just as a child would drink bitter medicine more readily out of a cup with a honeyed rim. He was right. In later centuries, when that poem, De rerum natura (“On the Nature of Things”), came under siege for its subversive potential, the work’s captivating beauty would be key to its survival. Still, it barely weathered the incursions of time and hostile authorities, which conspired to put it out of view for nearly a millennium. 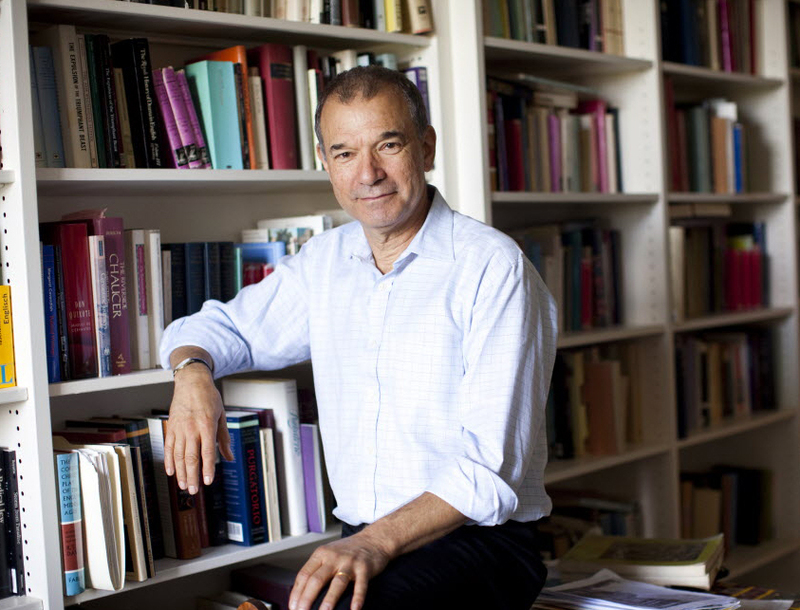 The improbable story of how it re-emerged, and how the mindset it advocated informs our present, is the subject of The Swerve: How the World Became Modern (Norton), a new book by Cogan University Professor and noted Shakespeare scholar Stephen Greenblatt, to be published in September. Watching this power slowly unfold is one of the book’s pleasures. There is in Greenblatt’s work a keen appreciation that the course of history is at any moment perched on a razor’s edge, and that many of the chains of consequence culminating in the modern Zeitgeist can be traced to seemingly inconsequential instances—butterflies flapping their wings to beget faraway storms. In Swerve, the butterfly is Poggio Bracciolini, an unemployed papal secretary who, finding himself by chance with the time and the means to hunt down copies of ancient texts, stumbled upon a manuscript of Lucretius in a German monastery in 1417. He then did something that would resonate for centuries: he ordered that the poem be copied, and thereby delivered a long-dead Roman’s philosophy, conceived in another time and largely forgotten, into a new era. It was not an era friendly to what Lucretius had to say. 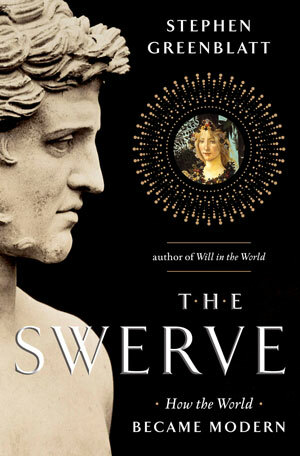 The Roman poet had modeled the universe as a collection of tiny atom-like particles in perpetual motion (the titular “swerve” was his term for the deviation that leads them to collide and compose larger forms). His scheme countenanced no judgment or indeed life after death, just dissemination of body and soul back into particles. 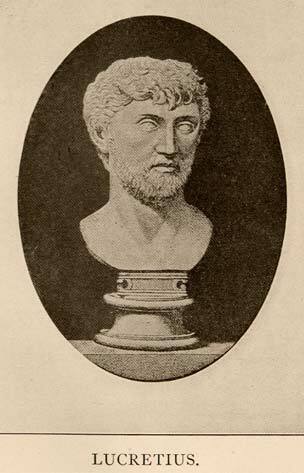 The imperative, therefore, said Lucretius, echoing the refrain of his Greek intellectual forebear Epicurus, was for man to maximize pleasure and minimize pain in the one life available to him. In the Lucretian universe it was unthinkable that the gods, caught up in their own pleasures, could take the slightest interest in human affairs. Man was free to make his own way. Part of the reason the poem disappeared in the first place, Greenblatt shows, was that it did not sit well with religious authorities who wished their subjects to cower before divine judgment and who touted earthly suffering as a path to an afterlife. In Poggio’s world, with a Renaissance papacy bent on protecting its prerogatives against perceived heresy, the Roman’s ideas were disturbing indeed. “For the Renaissance world, a Christian world, the question was, ‘What happens when something comes along that violates every one of your fundamental beliefs?’” Greenblatt says. “How were these radical things transmitted in a time when there was quite a repressive apparatus?” It was a question that Poggio’s character helped to answer. Himself subject to the service of a repressive Church as the secretary to a notoriously corrupt pope, he found freedom in discovering and perusing the wisdom of the ancients. There were others like him. Once Poggio delivered De rerum natura from its monastery prison, the beauty of the poem and the power of its ideas did their work. Greenblatt traces the emergence, from an exposition, and ambivalent denial, in the writing of the humanist Lorenzo Valla, to reproduction by Machiavelli and an appearance in the pages of Thomas More, to its place in the thought of the unhappy Giordano Bruno, the sixteenth-century friar whose execution is a testament to the murderous reflexes of a threatened Church.